Clay plates. 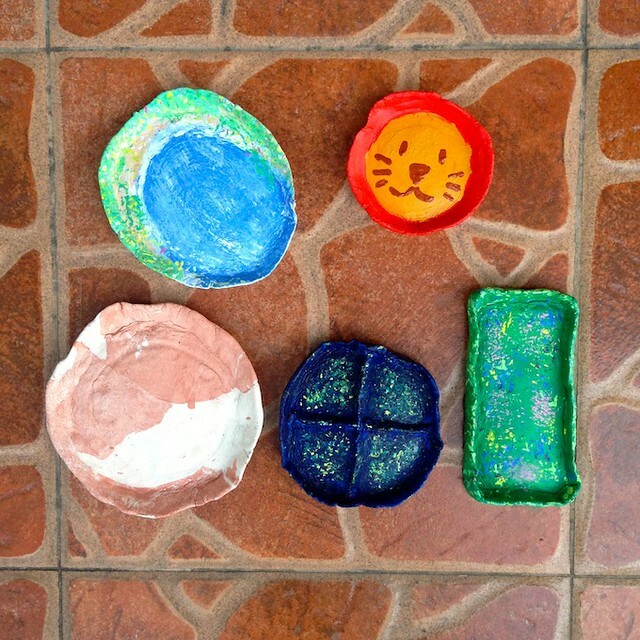 They caught my attention when I was reading through Nica’s blog last year, when she wrote about giving DIY clay plates as Christmas presents. 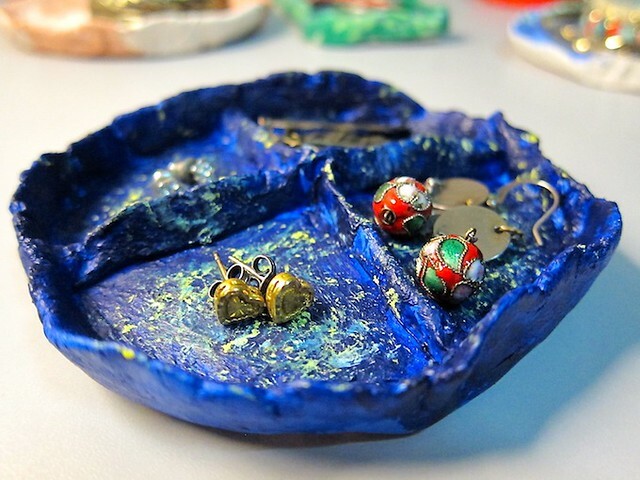 Early this year, I stumbled upon The Lovely Stars’ Gold Painted Jewelry Dishes, also made from clay. They got me so excited, and I’ve been itching to try something new creatively. 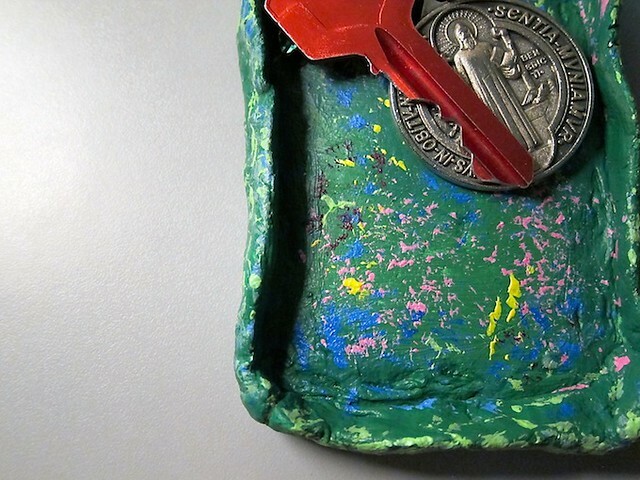 The closest I’ve ever gotten to molding was the last time I played with my 5-year-old’s Play-doh. So. 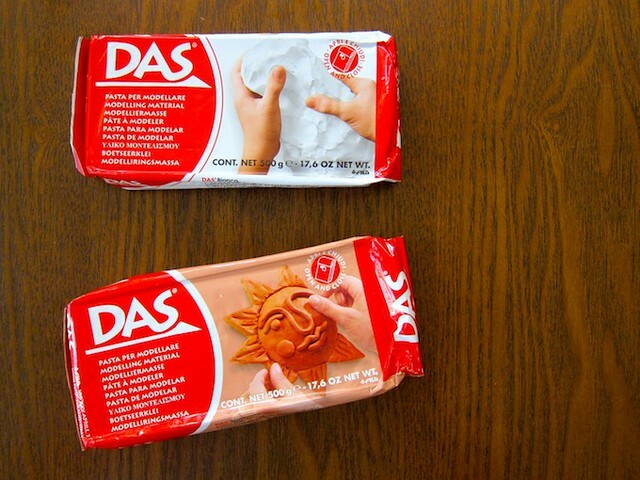 Following Nica’s lead, I ordered DAS air dry modelling clay from Hey Kessy. Each pack is 500 grams and costs P160. Not bad! I got one in White, one in Terra Cotta. 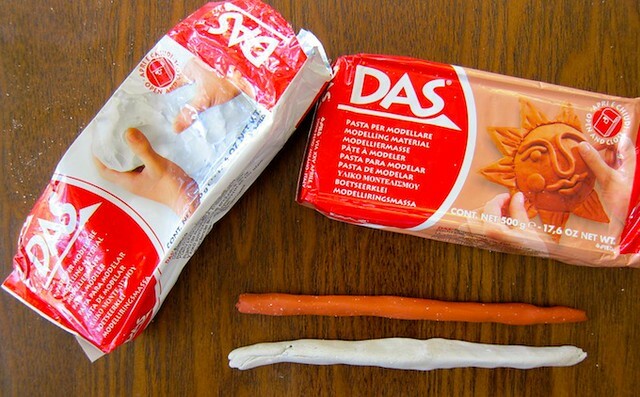 There are no instructions on the packaging, but there are cute clay art suggestions. Maybe someday we’ll graduate to clay animals. For now, we do plates! I don’t recall working with air dry clay ever, so this was a fun discovery for me. 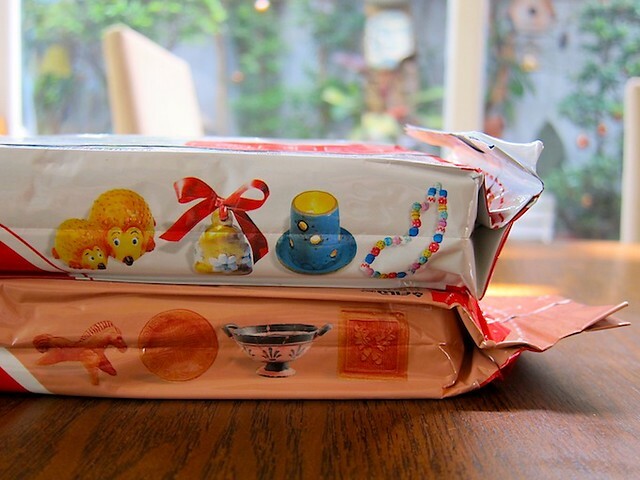 When I opened the packaging, the clay was a little damp so you could mold it easily. 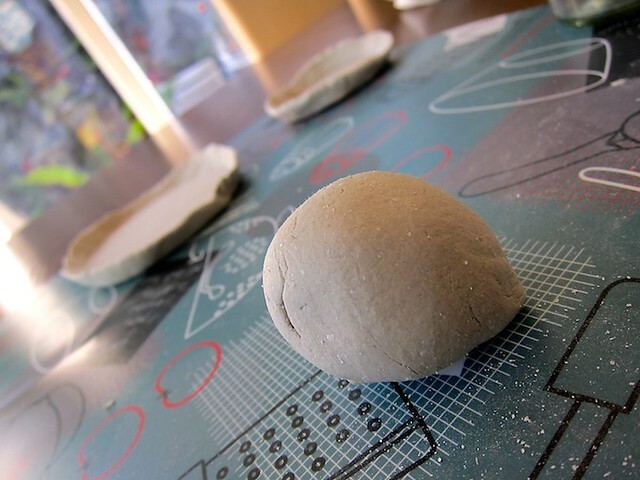 Rolling a lump of clay into a ball made it easier for me to create plates. From its sphere shape, you flatten it with your hands. 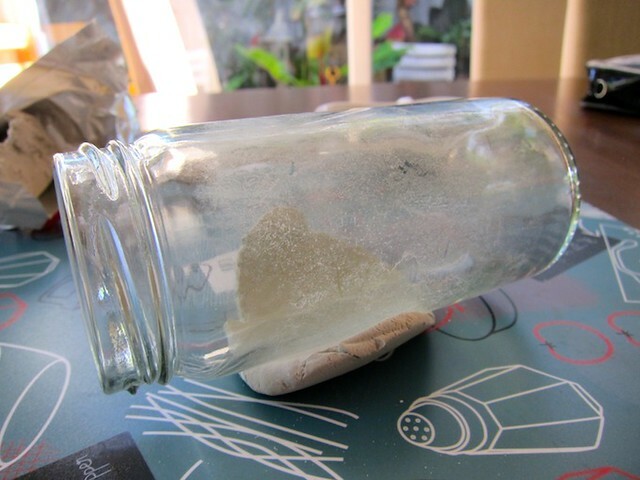 To help you out, you can also use a jar to roll the clay out flat. It was pretty easy. What I struggled with in the beginning was trying to make every clay plate perfectly shaped. The need for everything to be symmetrical was blocking my creativity. So I let go. Once I made peace with the imperfections, everything flowed smoothly. My Mom saw me making my clay plates and she said, “Can you make me an earrings organizer?” Challenge accepted! I made a plate and put some dividers. Ta-da! 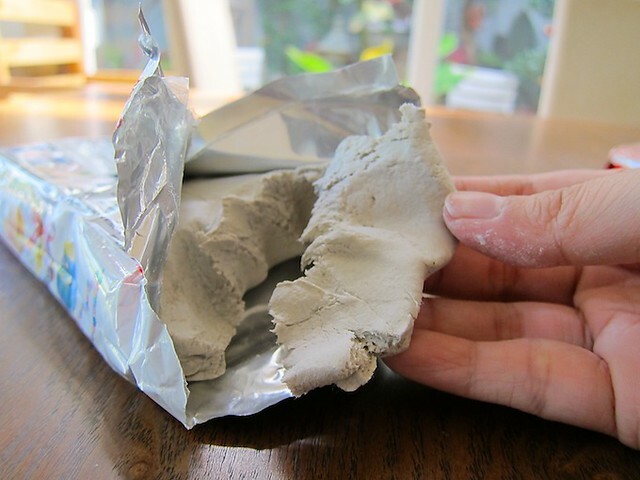 I ordered two colors of air dry clay because I wanted to try this next technique. 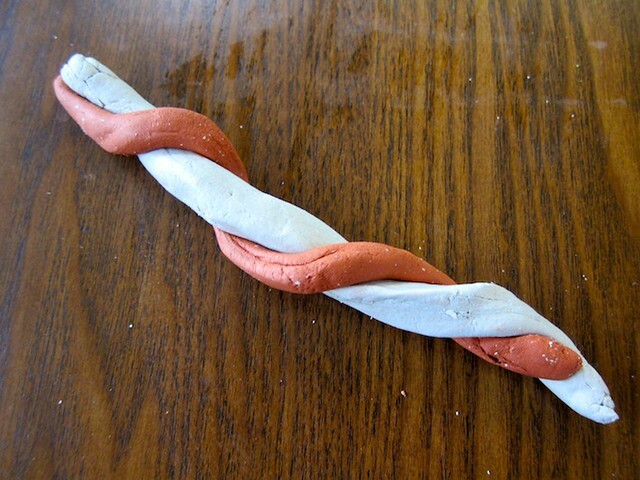 You make two ropes of each clay, then make a braid or intertwine them. 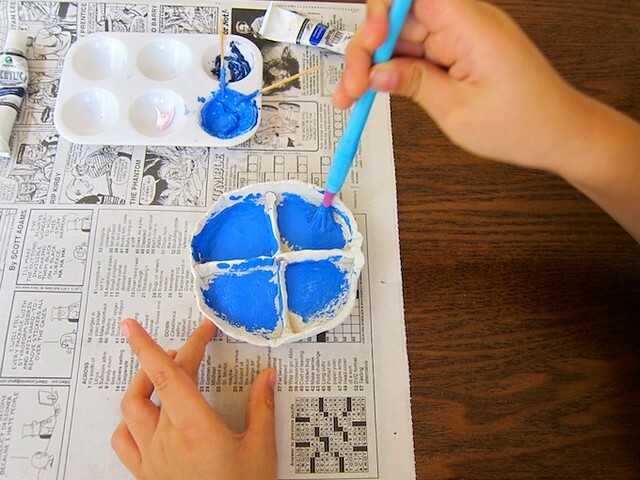 Afterwards, you roll it into a sphere and mold it into whatever shape you like. 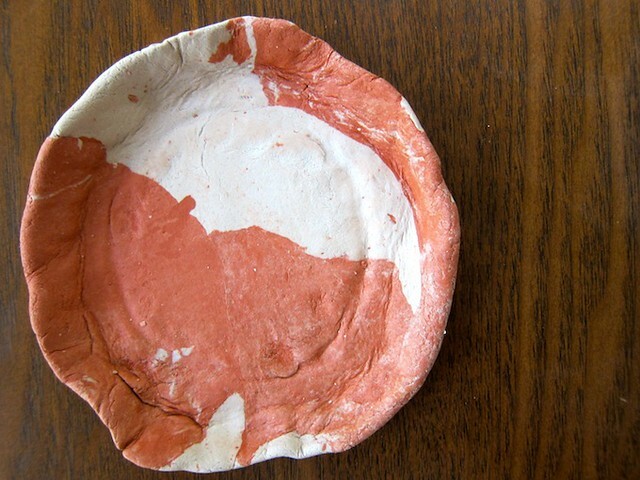 Isn’t this clay plate beautiful? No need to paint this one! It’s awesome as it is. 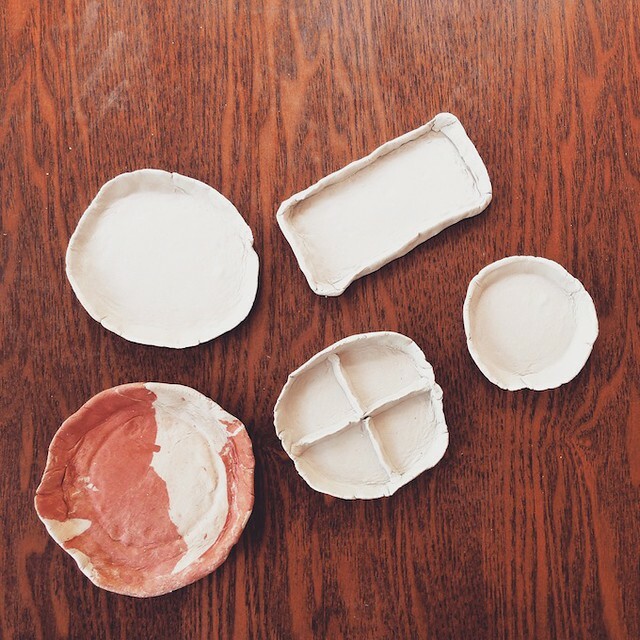 I tried different sizes and shapes for my first attempt at making clay plates. When you’re done molding, leave it for a couple of hours or overnight to air dry. I was itching to paint them, but they were still a little damp. I let my clay plates dry overnight. The next morning, our clay plates were dry. I asked the little one if he wanted to help me paint. He did some of the painting, but later abandoned me for his dinosaurs. Lesson learned: Dinosaurs > Clay Plates. 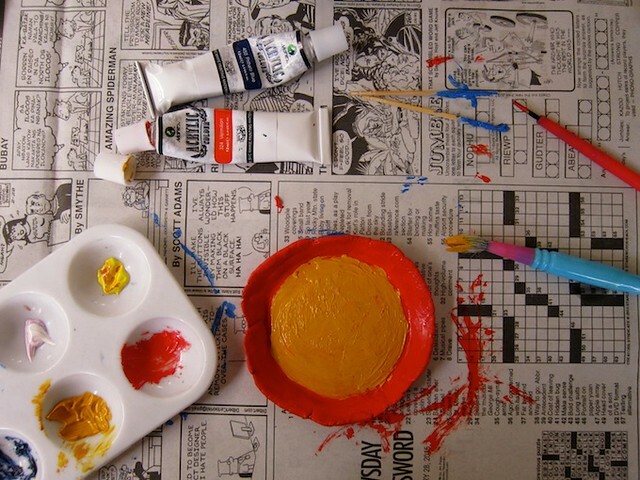 I used tubed acrylic paint for my clay plates project, and a couple of paintbrushes. It’s been a long time since I’ve painted as well, but just went with it. Music encouraged me to just go with the flow. 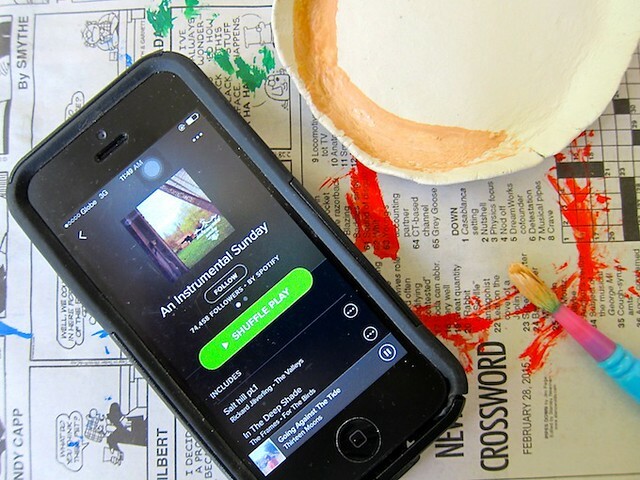 Music to paint clay plates by. 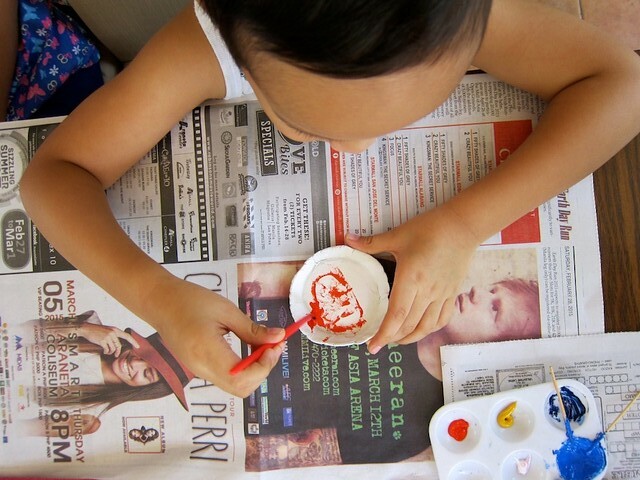 I wanted peace & quiet during my Sunday morning painting activity, and I also wanted music. My companion was this playlist from Spotify, aptly titled “An Instrumental Sunday”. 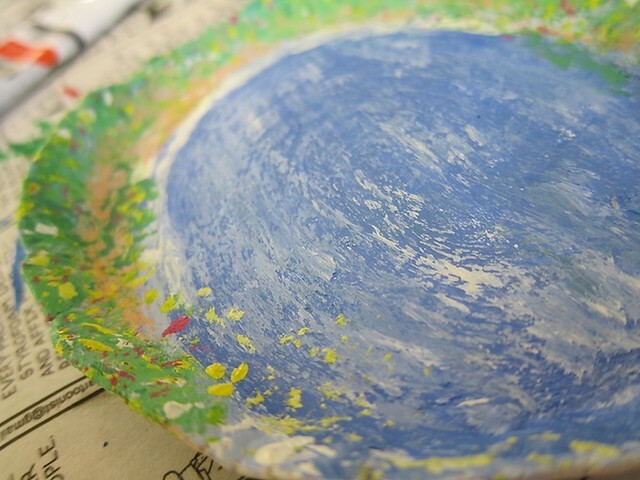 One of my clay plates was inspired by my blog’s design. 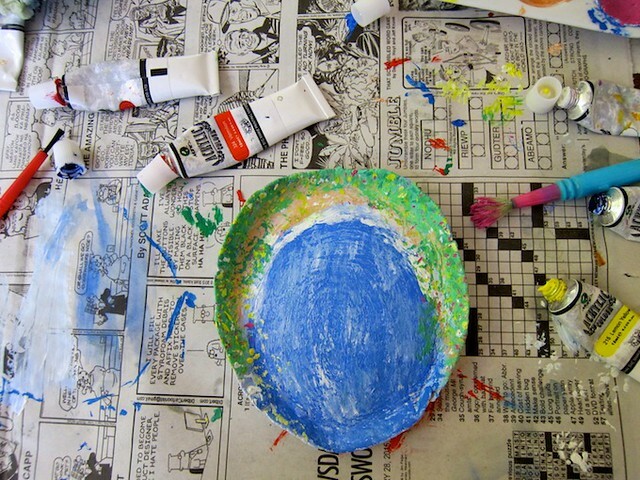 It started out as a striped clay plate, but as my paintbrush swirled to the music it evolved into a beach cove. This is my perfect hideaway captured in a clay plate — a beach cove with quiet waters, gentle waves, lots of greens and flowers. I love it. All done! In the bottom row are my terra cotta + white clay plate which I decided to leave as is. 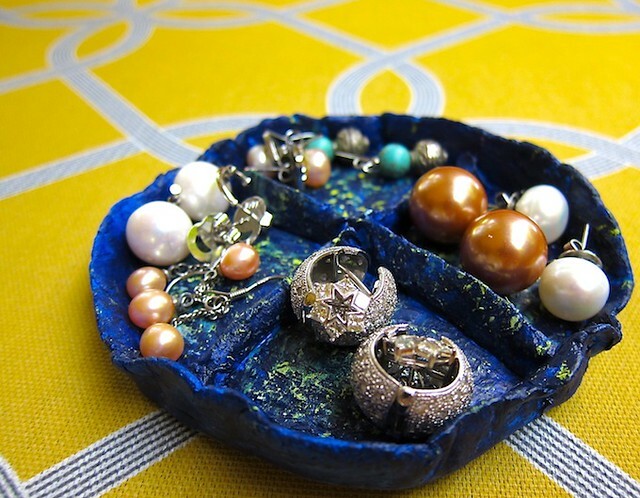 For my Mom’s earring organizer, I was inspired by one of my all-time favorite paintings: Van Gogh’s Starry Nights. I painted the rectangular plate with a flowery meadow in mind. On the top row are my beach cove plate, and a little lion clay plate for Timmy. Painting these plates was so much fun! I tested my Mom’s earrings holder first with my own earrings. The dark-colored paint helped make the silver and gold earrings stand out, so you can easily spot them. 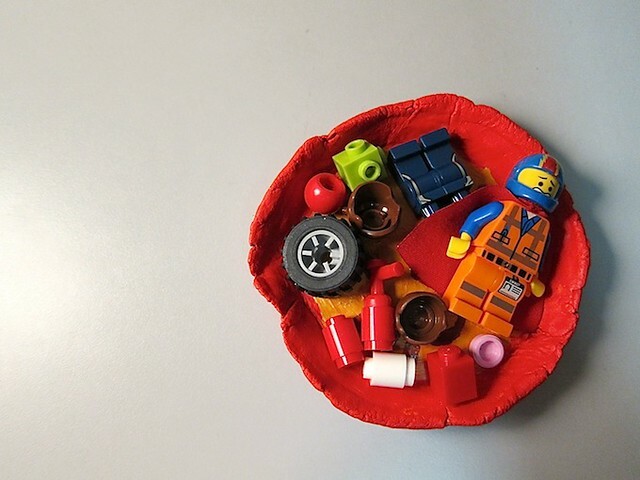 My son’s Lion clay plate became a collector of Lego playthings in the bedroom. This Lion clay plate is now with my Dad, and he uses it on his office desk. It now holds paperclips and fasteners. 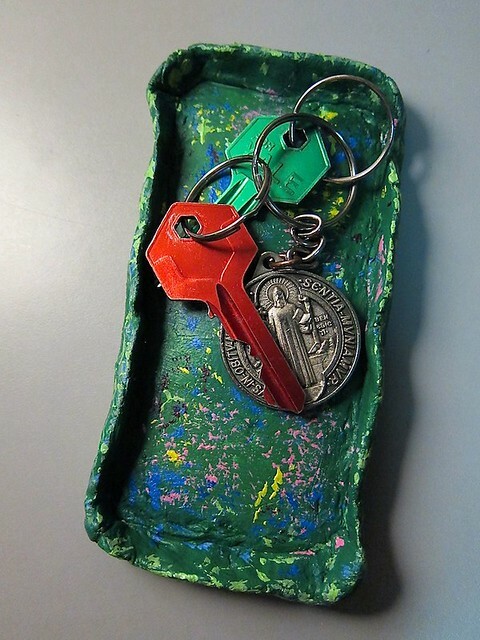 Meadow Plate now holds some keys. I love looking at the flowers against the green. Maybe someday I’ll make a much bigger version of this! My favorite clay plate now sits on our bedside table. 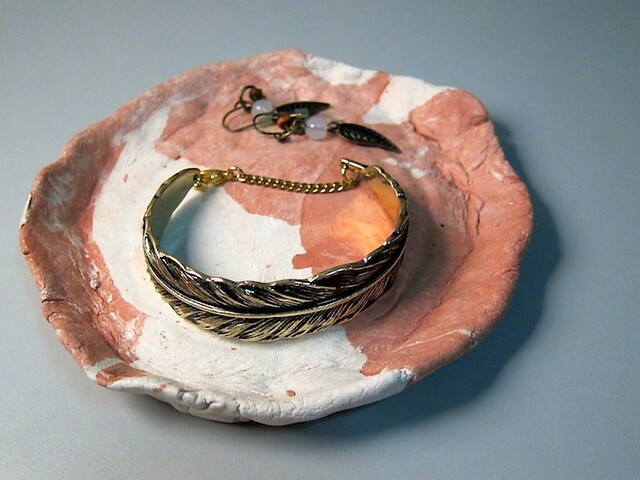 I use it to hold my necklace and my favorite rings. This morning, my Mom showed me how she uses her earrings organizer. She also asked if I could create one more for her! (I totally did! It’s air-drying as I type this.) What a lovely feeling it is to see your creations living out their purpose. 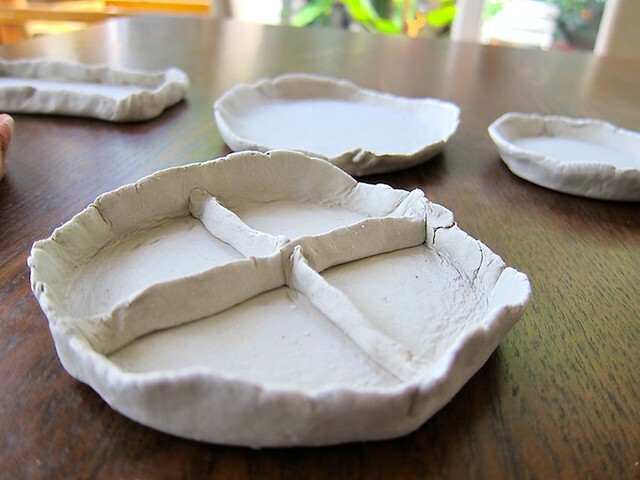 This clay plates project was a lot of fun! What makes each creation special was how much love and time was put into it. 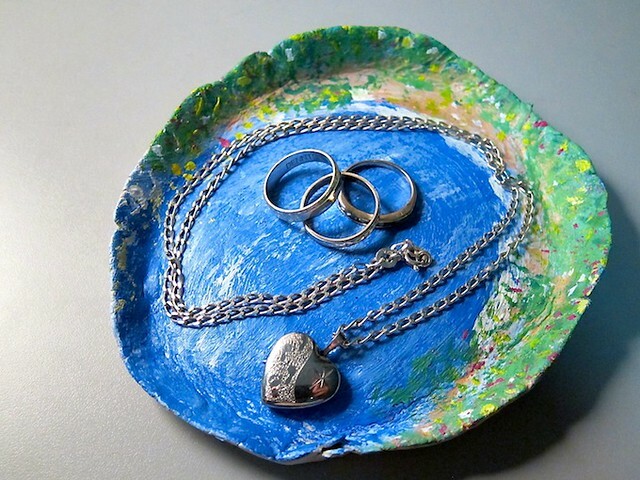 If you’re thinking of giving personal, lovingly handmade creations as presents, consider making your own clay plates. With lots of love, you can create a special, one of a kind gift. 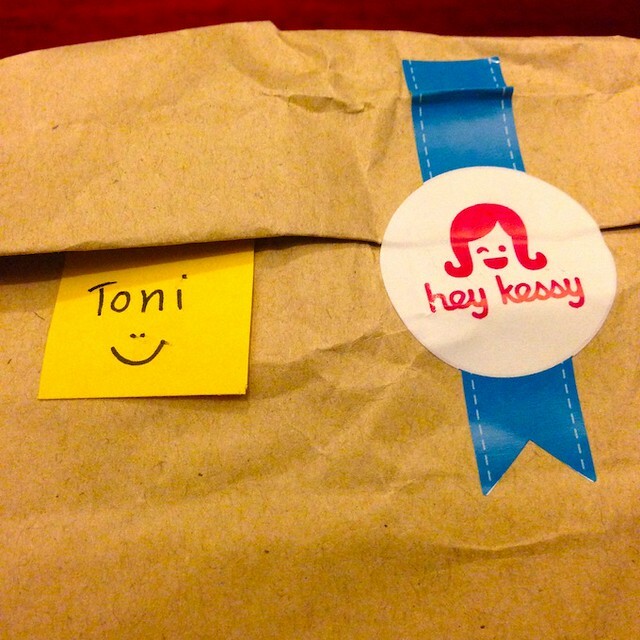 I love these art pieces with purposes, Toni! After you paint them, just air dry again? ceemee´s last blog post ..A September Bride by Kathryn Springer, Cymplified! Hi Ceemee! Thank you! Yes, after painting, just air dry again!